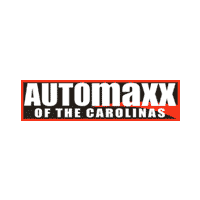 When you buy your certified pre-owned vehicle from Automaxx of the Carolinas, you can drive confidently knowing you’re behind the wheel of a vehicle that has been carefully inspected to ensure that it meets our standards for sustainable excellence and freedom from wear. How much do we believe in the quality of the vehicles we sell and the skill of our technicians who inspect them? We back up our pre-owned inventory with a 3-month/3,000-mile Certified Warranty to ensure you never drive home anything but the best from Automaxx of the Carolinas. Our certified warranty covers the A/C system, drive axel group, electronic systems, engine, drivetrain, and much more for peace of mind behind the wheel of your pre-owned model. We hope to see you soon at Automaxx of the Carolinas to test drive and experience our pre-owned model inventory for yourself. You can find incredible deals on Ford, Jeep, and Toyota models in excellent condition and many other brands as well. Visit our Summerville dealership or contact us today!